One simple step to increase diversity is to ask. From now on, I plan to send all relevant job announcements to Lambda Ladies, specifically by email to the moderators. 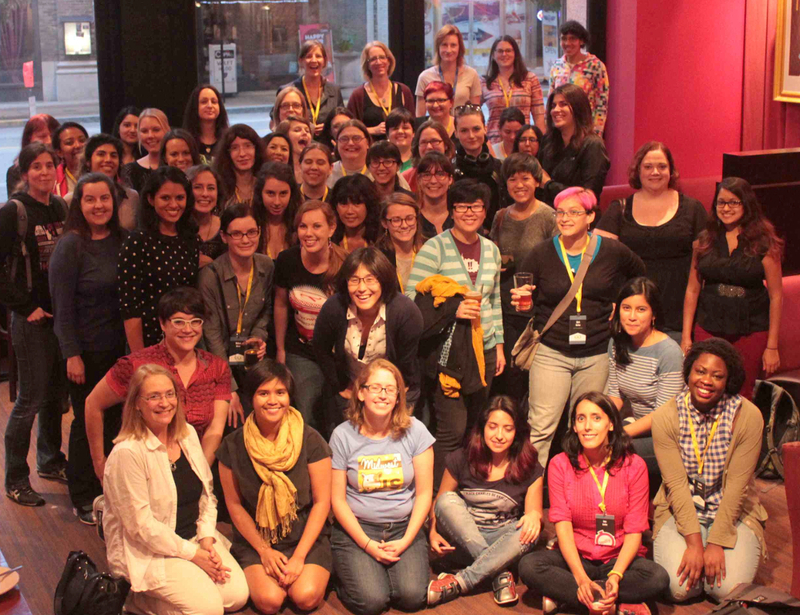 Above is the Lambda Ladies party at Strange Loop, September 2014. Thank you for existing, ladies! IOHK is hiring six Programming Language Theory engineers, to design and implement the smart contract language Plutus and related domain specific languages. Designing scripting languages for smart contracts is a challenging topic, as it is crucial to avoid the sort of exploits that regularly drain Ethereum of tens of millions of dollars worth of cryptocurrency. I am one of the lead designers; two others are Duncan Coutts and Manuel Chakravarty, who are well known to many in this community. IOHK is one of the leading cryptocurrency firms. Much of its software is implemented in Haskell. All work is open source and publication is encouraged. Indeed, IOHK is unique in that it is committed to basing its development on peer-reviewed research, in cryptography and security as well as in programming languages and formal methods. As Charles Hoskinson, IOHK's CEO, points out, if IOHK succeeds it may impact how software is developed, encouraging others to more seriously consider functional programming, formal methods, and peer-review. IOHK is a distributed company: I am in Edinburgh and Rio de Janeiro; Duncan is in London; Manuel is in Sydney; you may work from wherever you like.